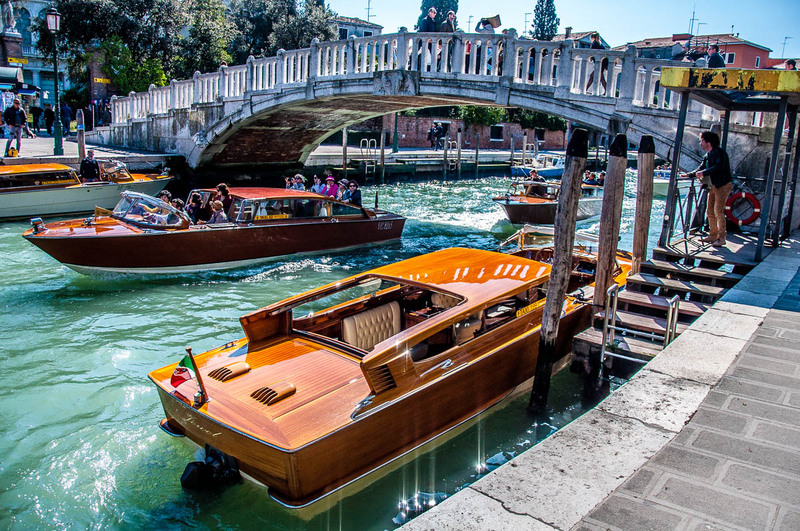 Boats are to Venice what cars are to the rest of the world. In other words – a vehicle used daily to get you from point A to point B and to transport anything and everything you need. 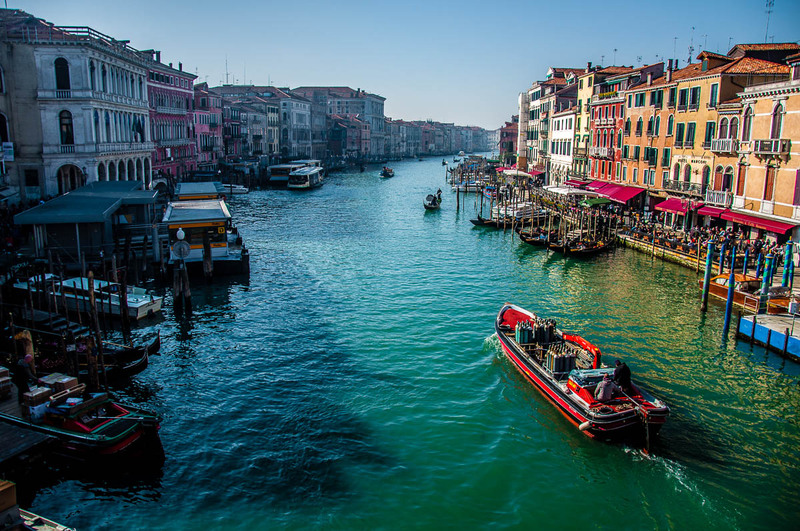 Instead of roads built on terra firma, Venice has water and lots of it. Crisscrossed by canals and with narrow, curvy streets, the city is a car-free heaven. There you can go for a lovely stroll without worrying about stressed drivers, Chelsea tractors and road rage. Still, have you ever wondered how do they make a city of just over 50 000 permanent residents and a yearly influx of 30 million(!) tourists tick like a clock and work smoothly without any cars?! Because, you know, lorries can’t really drive into Venice to deliver food and parcels don’t arrive on drones (just yet). Well, for all of this and so much more, Venice uses boats. It is quite incredible, really! Boats have been adapted to serve any and all purposes that cars are used for in the rest of the world. 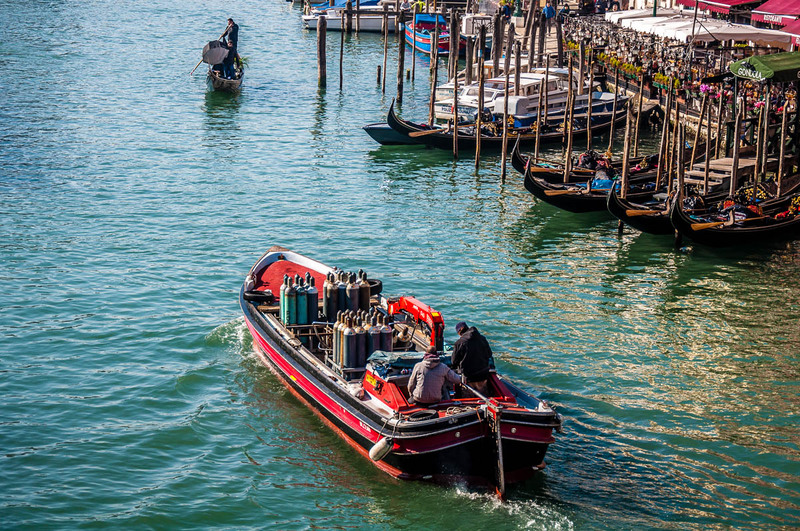 You just need to stop and look at Venice’s canals for all of five minutes and you will glimpse a fabulous collection of boats which you won’t be able to see anywhere else. Yes, gondolas are not the only type of boat they use there! 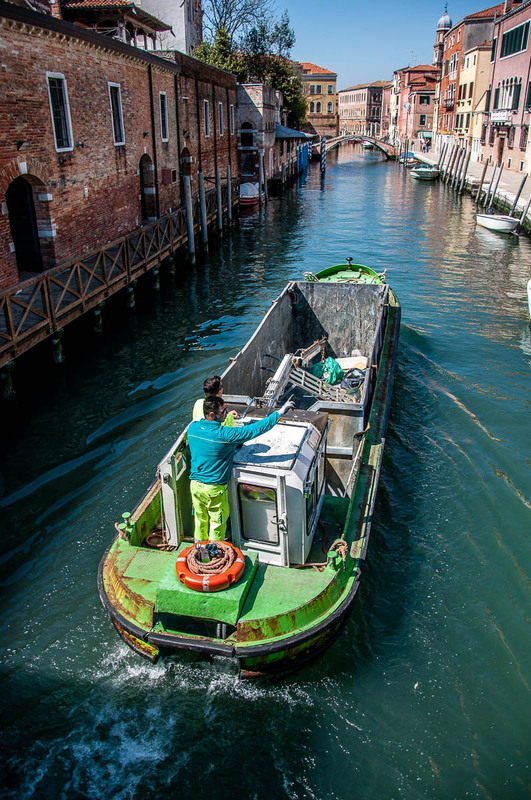 From policemen and firemen to TV crews, everyone in Venice uses boats to do his or her job. So, just to give you an idea of the variety of boats you can see in Venice, here is a collection of photos. I took them over three and a half years of trips to La Serenissima. 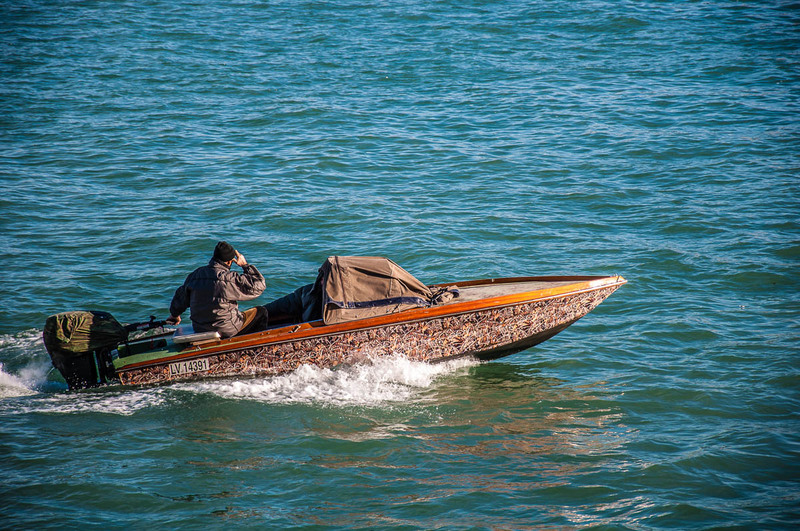 They show you the ingenious ways the local people have found to adapt to life on water. And are a testament to how special Venice really is. After all, its people have overcome the most inhospitable environment for human life and turned it into one of the most splendid places on Earth. After all, if you live in Venice, how else would you be getting your new washing machine delivered to you? 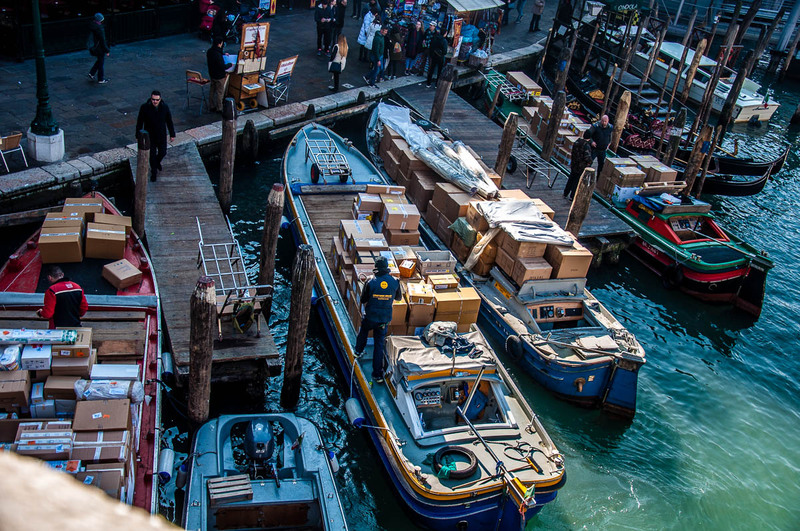 Boats are used for all sorts of deliveries in Venice. 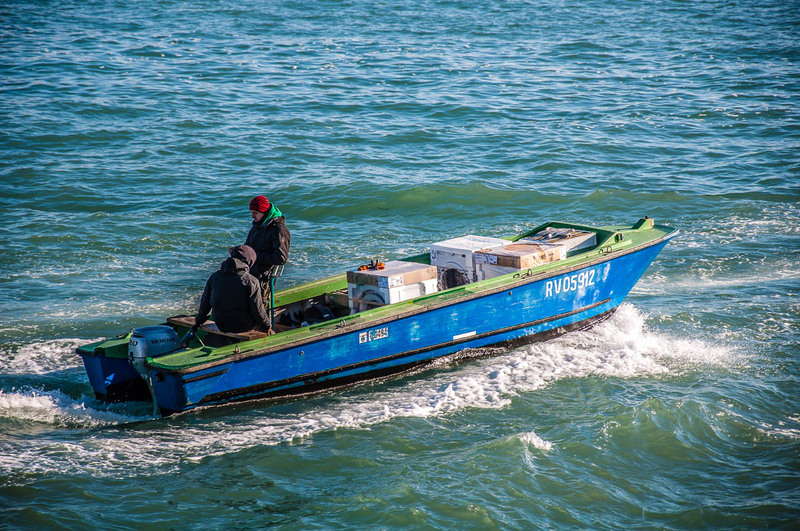 From DHL packages to food, everything has reached the shelves of the local shops by boat. No wonder then that sometimes the prices in La Serenissima can seem just a touch higher. 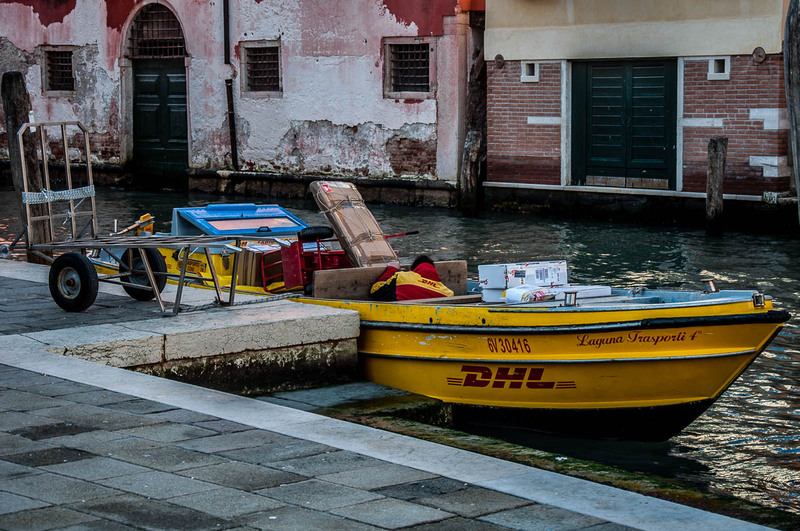 You will see delivery boats everywhere in Venice. Even on the Grand Canal. And, when I say that everything is delivered by boat, I mean everything. Including gas bottles! Yes, see below! 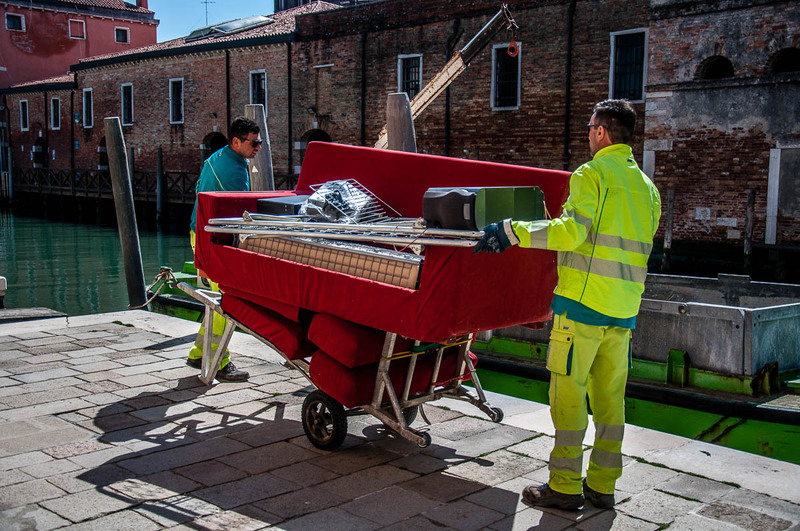 For one of those stressful occasions when you need to move home in Venice and your sofa just doesn’t float well. Then, you load all your earthly possessions on a boat, cover them with plastic sheets and off you go along the canals to your new abode. Yes, you cannot drive a car in Venice, but you can do so on the Lido. 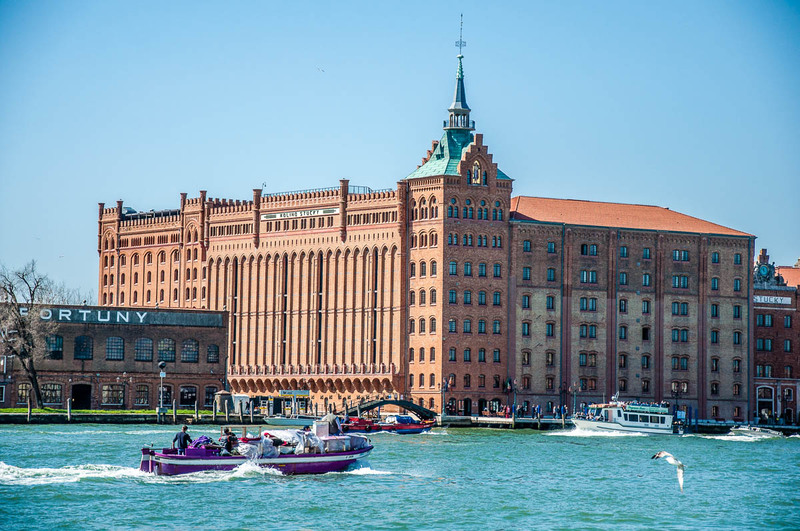 This is the nearby island where the Venice Film Festival takes place each year. 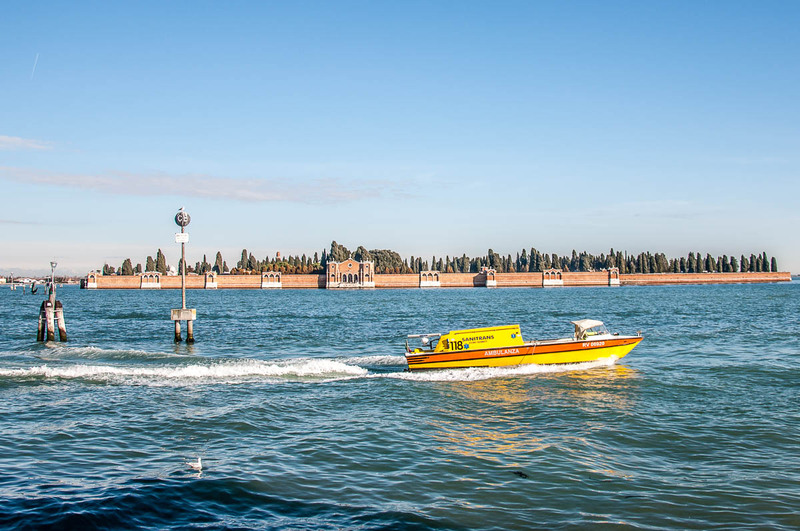 So, if you and your car want to reach Lido, then you two take a ferry and sail past Venice. The most curious thing was that the children didn’t find the question strange or extravagant. 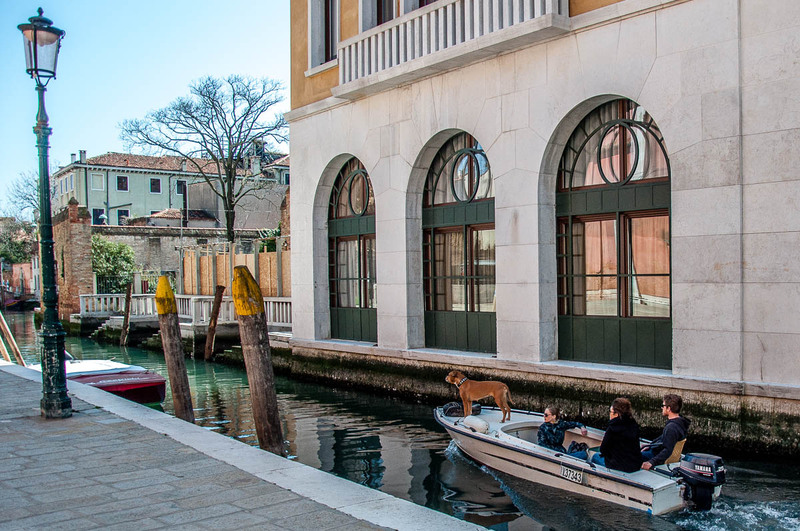 For families in Venice have a boat the same way you and I may have a car. It serves them to get around, go on a nice day trip or, even, to watch events taking place in Venice from the water. I still remember seeing the Regatta of the Ancient Maritime Republics in Venice a few years ago. The press boat, that I was in, was surrounded by dozens of boats – from dinghies to proper yachts – with whole families (and a few dogs in them) enjoying the race. 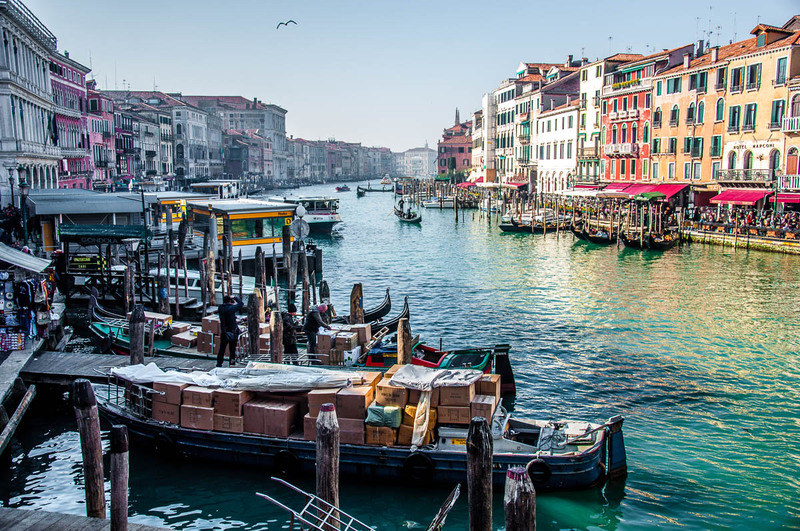 For the amount of people who visit every day, Venice is a surprisingly clean and tidy town. All this is thanks to the very hard work of the local binmen. 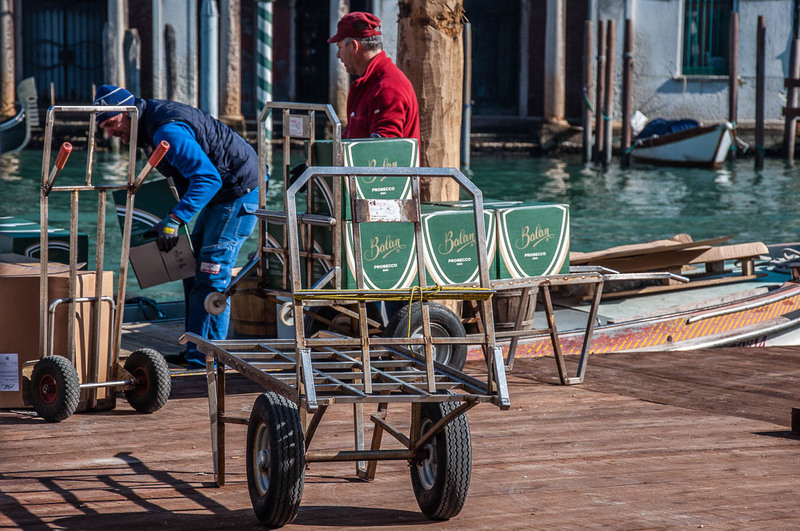 They push their metal trolleys with heavy bins on top, collect the rubbish left in plastic bags by the doors of the citizens of Venice and then take it all away in large boats designed to carry a metal rubbish container on board. Next time that you are in Venice, spare a thought for them. I spotted these two chaps removing an old sofa and an old Hi-Fi from a house in Venice. Then, they lifted them one by one and threw them in the boat. Finally, they used the small hoist (that is mounted on the boat) to lift their metal trolley back on board and off they went to the next stop on their job. 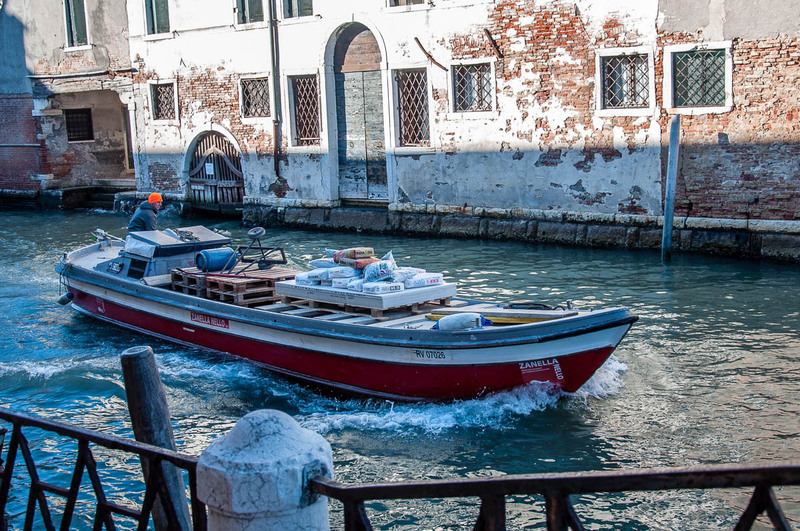 Boats carrying construction materials (as well as other heavy loads) are a frequent sight in Venice. How else would you be getting the heavy bags of cement and the thick wooden planks to the centuries-old house or palazzo you are restoring, for example? Because how else would you be getting a load of frozen meat and seafood to places around town. 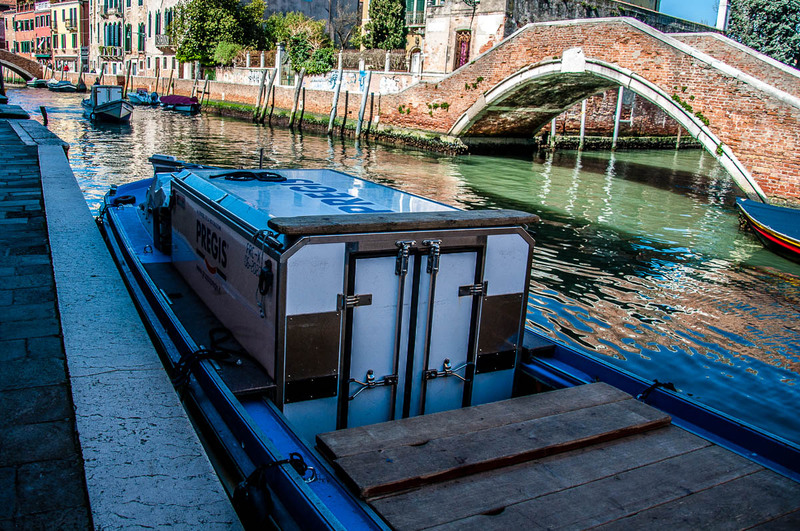 The curious thing is that I had never seen a refrigerating boat in Venice prior to this past Saturday. And then, the second that I spotted my very first one and snapped like a dozen photos of it, two more refrigerating boats sailed by. Well, this is a bit tongue-in-cheek, but it’s true, nevertheless! Venice is a rich playground for photographers. Here every corner and, ahem, boat have been captured on camera time and time again. 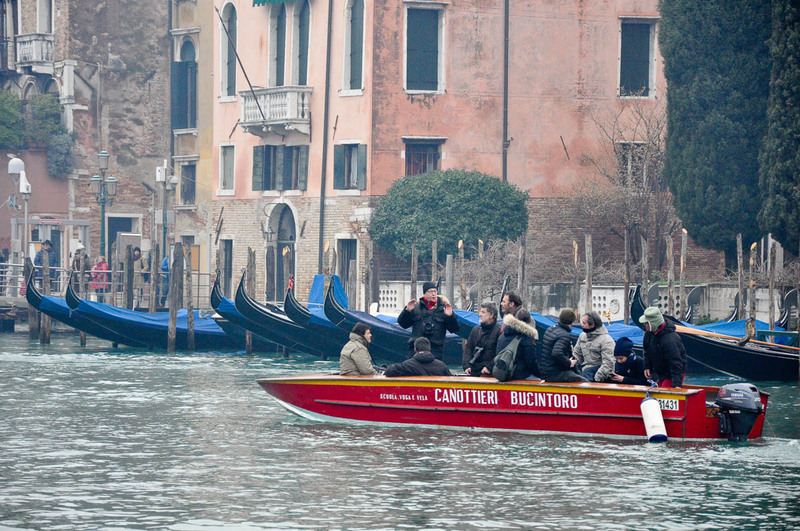 Now, Venetian boats are being used as sets for photoshoots, too. Focus on the tiny gondola above the large delivery boat in this photo. You will see the huge softbox that the photographer’s assistant is holding, while the photographer is happily snapping away underneath! Vaporettos are the Venetian public transport. 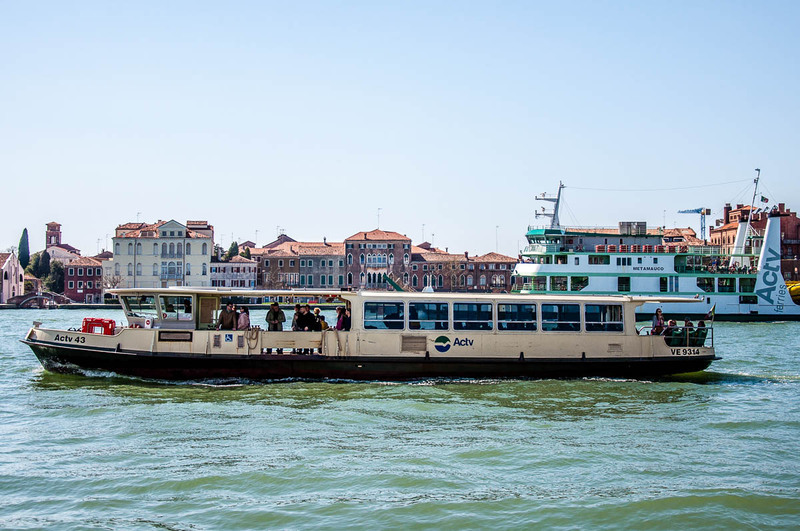 They are veritable water buses and zip up and down the Grand Canal and all over Venice plus the nearby islands thus ensuring that locals and tourists can get around. Tickets are expensive and queues can get really long but the views are magnificent. 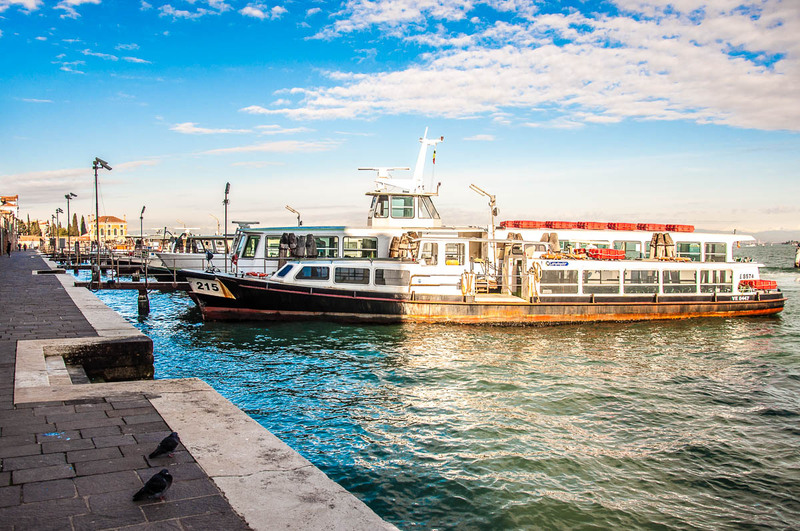 In fact, you haven’t been to Venice unless you have taken the vaporetto. At least once. Water taxis are shiny and speedy. Zipping up and down the canals of Venice on one must give you that amazing feeling that film stars get on the red carpet. 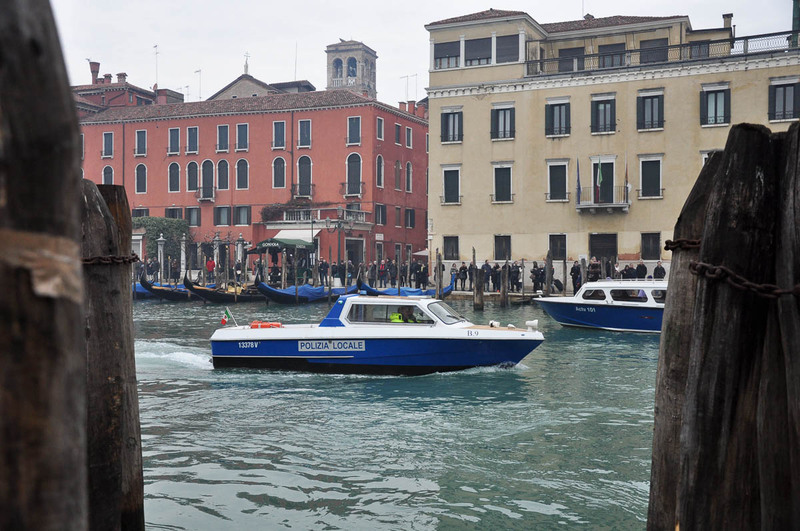 Unfortunately, the water taxis (or motoscafi as they are locally called) are quite expensive. During my last visit to Venice a couple of days ago, I noticed lots of motoscafi being rented by large groups of tourists. Standing up at the back of the boat, then they proceed to film on tablets and snap on their mobiles the whole ride around the canals. I would imagine it’s speedier and cheaper per person than a ride on a gondola. Still, if one day I can stretch as far as to rent a motoscafo in Venice, I would like it to be the full experience, i.e. me dressed in a lovely dress with a glass of sparkling juice in hand… You get the idea. Something like Amal Clooney, but rounder. When a large event happens in Venice, the world’s press descends on it eager to capture it all. What do you think?! How do journos and photogs get to follow the proceedings (which are usually on water)? Yes, you are right! 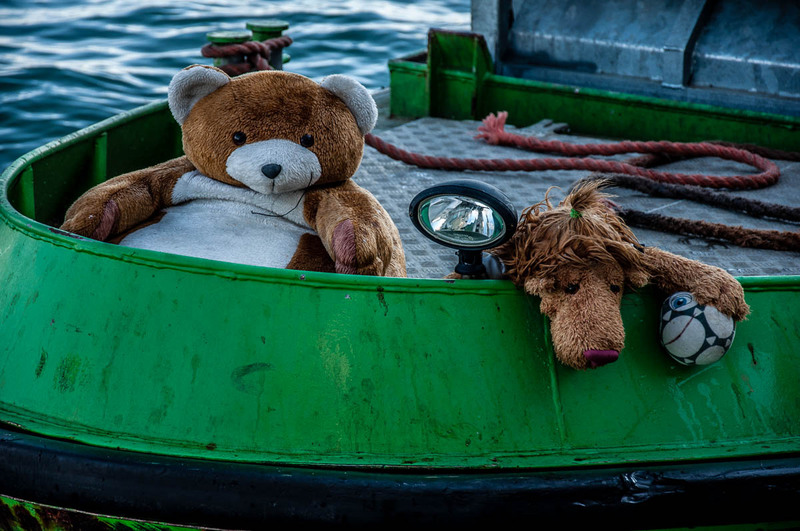 They get in a boat. Just like in the picture above. 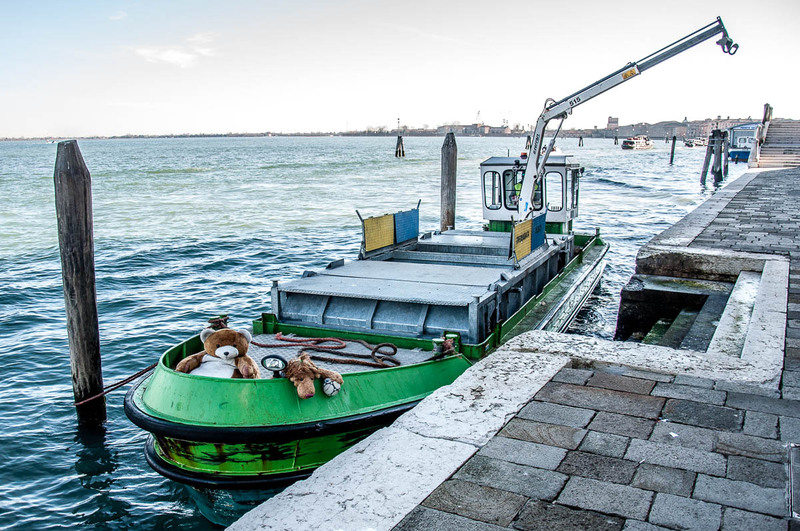 This was the press boat at the Befana race in Venice a couple of years ago. And here is a boat with a TV crew broadcasting live. It looks so cool! Policemen and policewomen of Venice get everywhere by boat. The first time that you see them riding around on the canals, you get this very difficult to put in words emotion. Like, for the first time you realise that Venice, for all its splendour and romance, is a living and breathing city where actual people live. And it is not just set up for tourists. You may think that by being built on water, Venice wouldn’t need firemen. Yet, this isn’t so. Venice not only needs to have firemen (as any other place on Earth), but they also get to ride on these swanky fire engine boats. The ambulance boats you can see in Venice are really amazing. Just imagine having to rush along long and curvy canals to save lives, dodging dozens of other watercraft. I have a huge respect for the people who drive and work on these water ambulances in Venice. It must be a really difficult job. And when the time comes to leave it all behind, the last journey of the people of Venice is, once again, by boat. 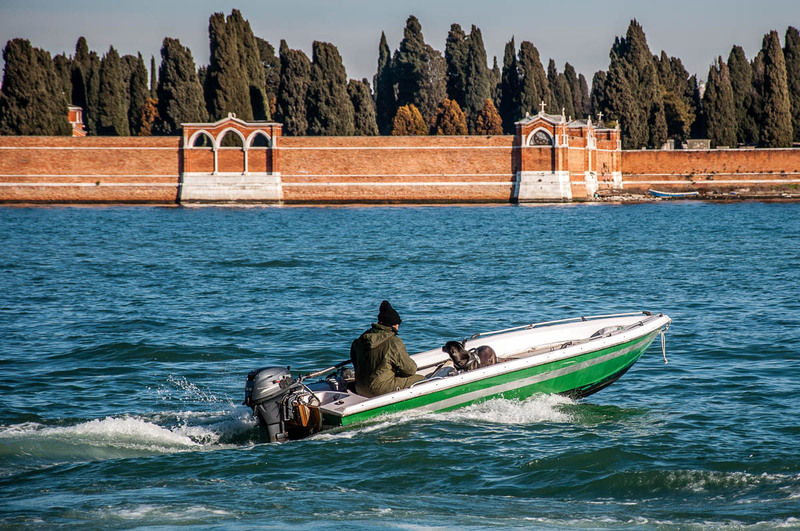 The hearse boat takes them one last time to church and then across to the island of San Michele, where Venice’s cemetery is. 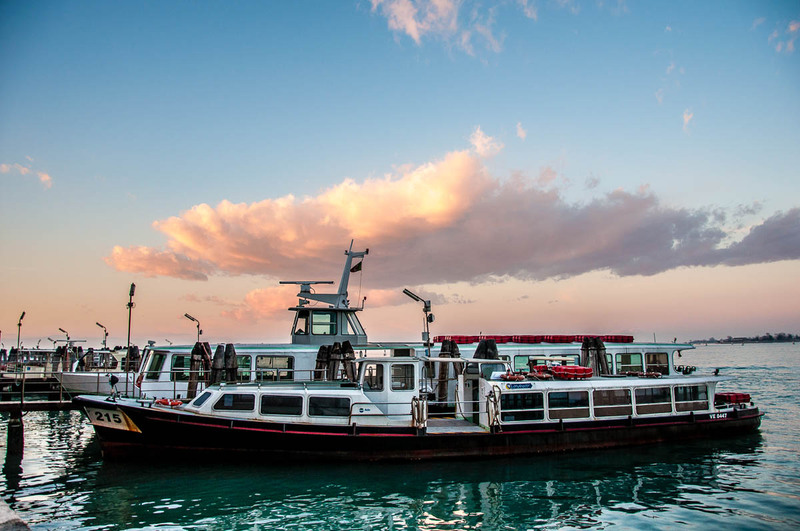 Well, in this article, I wanted to show you and tell you a bit about the weird and wonderful boats which make it possible for Venice to live in our modern times. It is quite incredible, really, how people there have adapted the boats to serve them for any task and any type of transportation need. 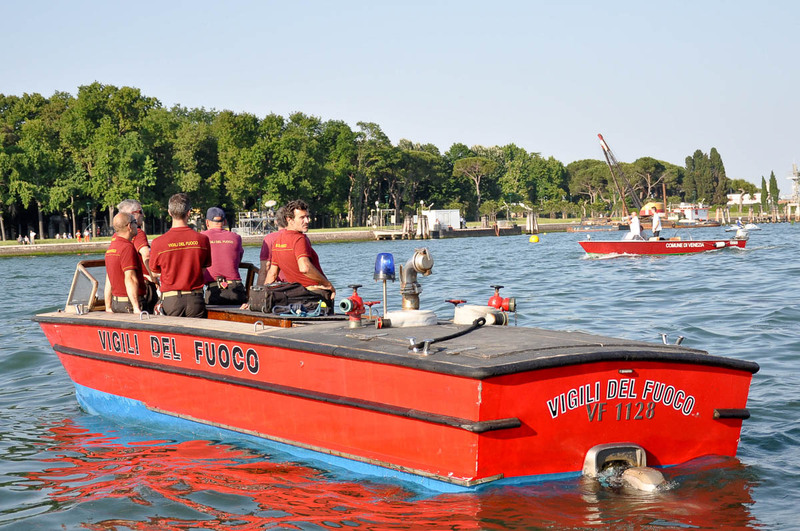 Venice Historical Regatta – giving you a first-hand account of this grand yearly event in Venice. Sport, History and Men in Leotards – giving you a front-row, first-hand account of the 60th Edition of the Regatta of the Ancient Maritime Republics. 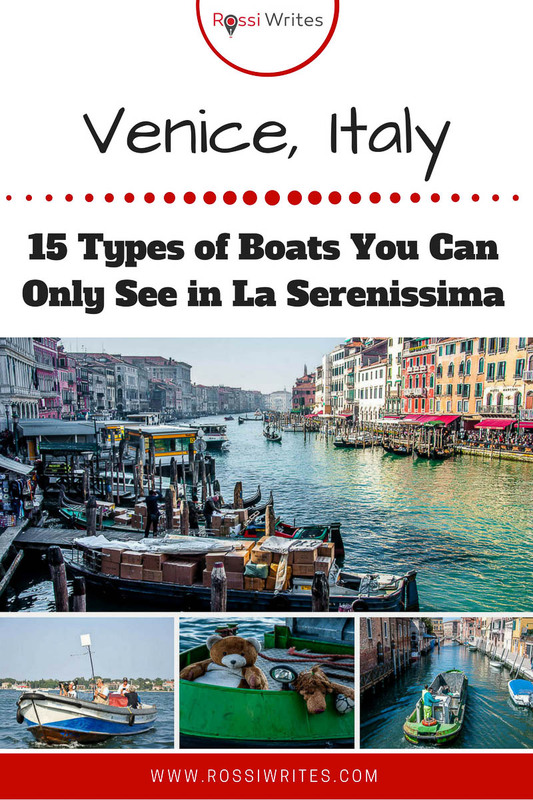 There are lots of photos there of amazing boats and a story about the maritime rivalry between Venice, Genoa, Pisa and Amalfi. 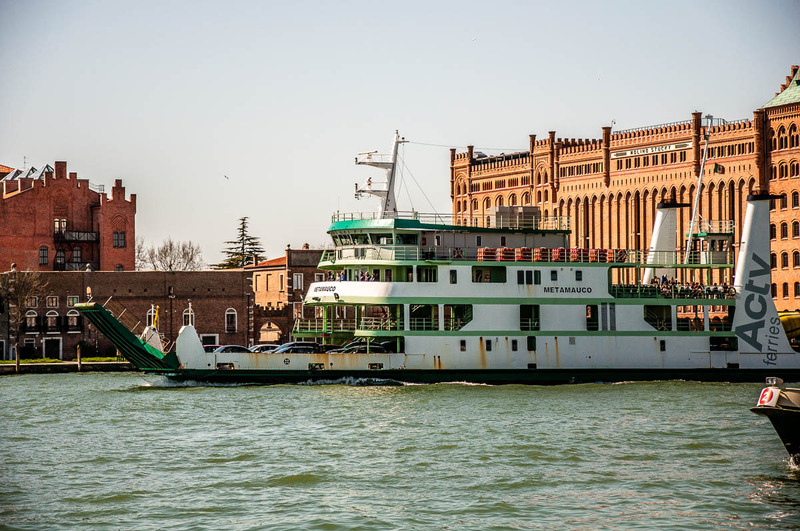 Exploring Venice: Aresenale’s Porta Magna and the Ships Pavilion – giving you a peek into the Venetian Arsenal (the largest industrial complex in Europe prior to the Industrial Revolution) and the adjacent Ships Pavilion where you can see many different Venetian boats and learn about their history. 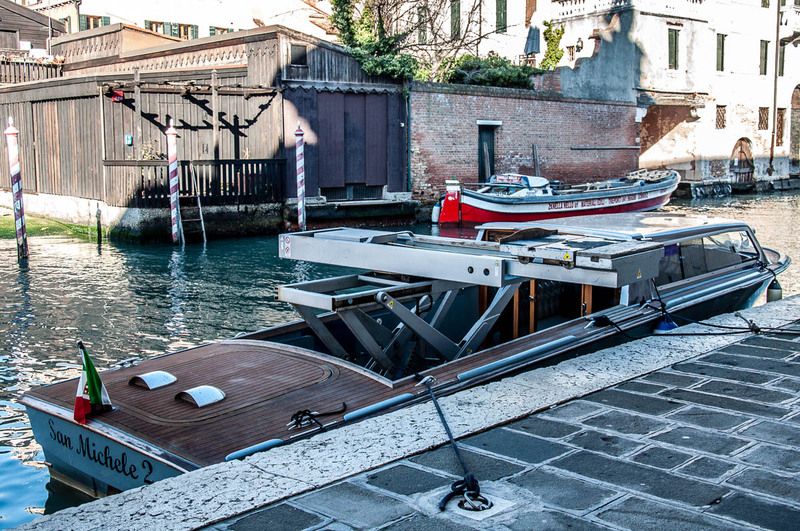 Traghetto – giving you the story behind this plain gondola-like boat which ferries passengers across the Grand Canal. 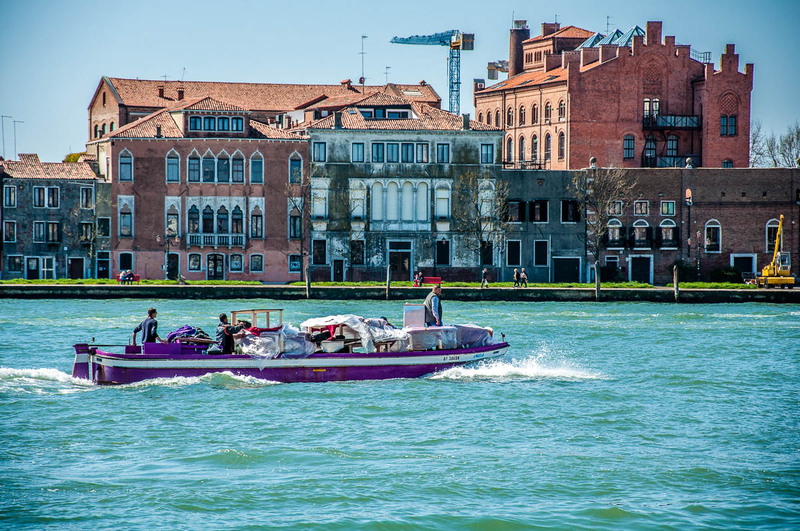 Gondolas and the Island of San Giorgio Maggiore – a little poetic piece I wrote about gondolas some time ago. 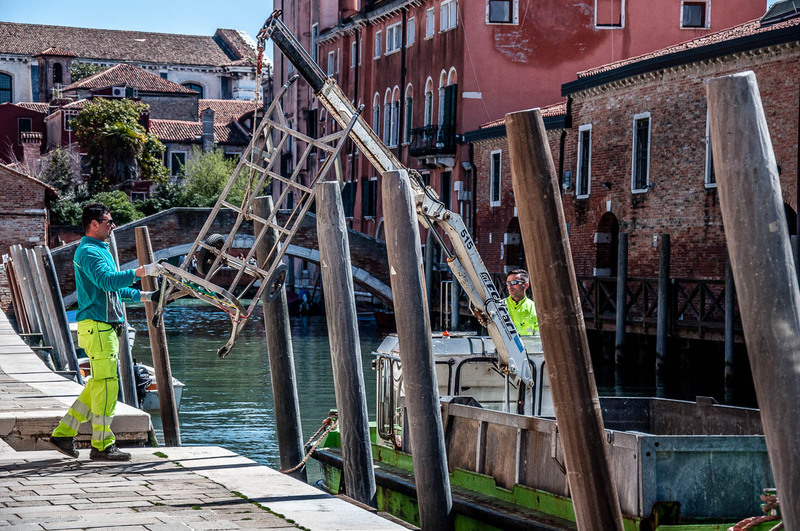 I will be posting about my visit to the gondola-making and -repairing workshop Squero di San Trovasio in Venice soon, too. So, please, keep checking the blog. 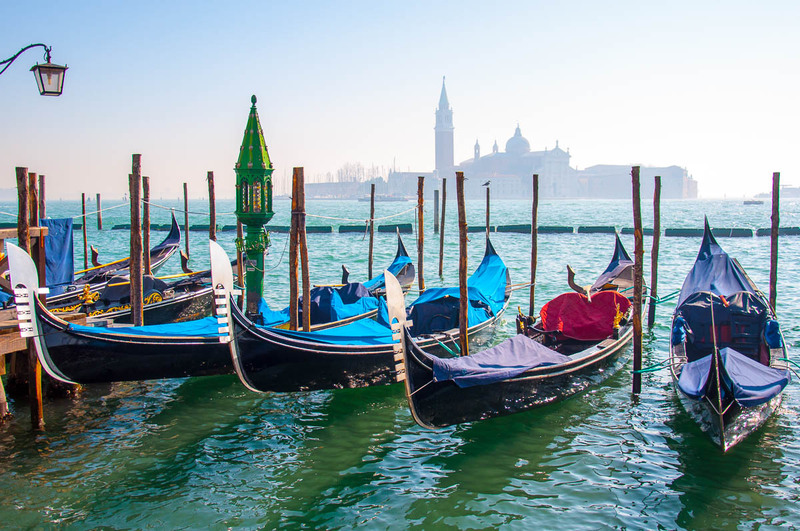 Did you forget that there are several different types of boat in Venice which are rowed, and rowed the Venetian way? 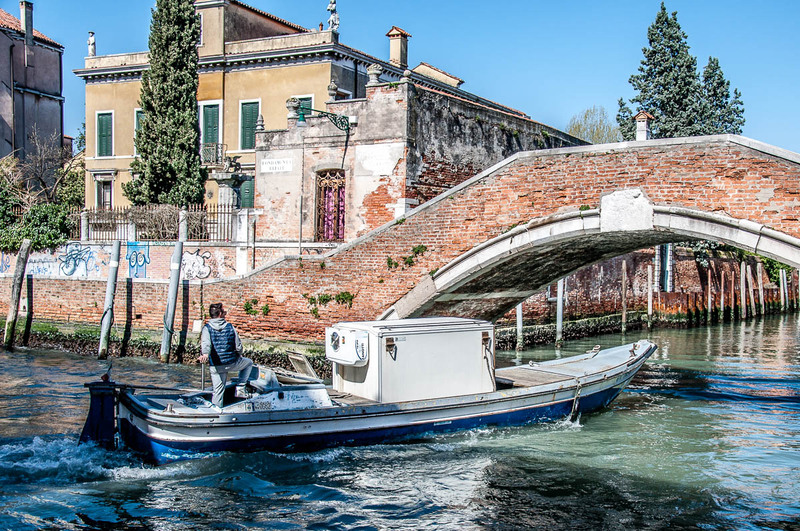 This article is not about the traditional Venetian boats but about boats which have been adapted (similarly to cars and vans) to serve several day-to-day purposes like delivering mail, transporting heavy loads and taxing people around the lagoon.